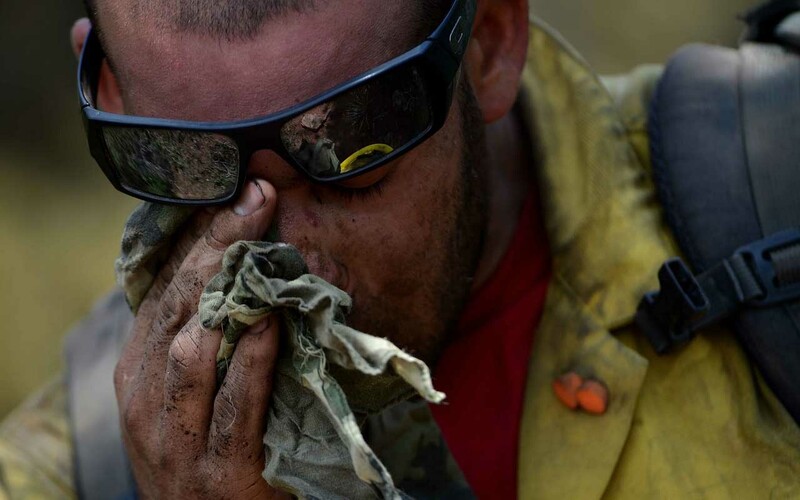 Firefighters are one of the most courageous people on the planet. During our time of desperation, they are there for us, risking their own lives. When we run away from danger, they run towards it. These brave men and women are trained to be tough and to handle any kind of situation that is thrown their way. It’s not just burning buildings that they deal with. Every day, they perform thousands of courageous activities that we could never imagine to be a part of. Today, we are listing stories of 10 amazing firefighters that are true heroes, who risked their lives for others to be with their loved ones. 1. 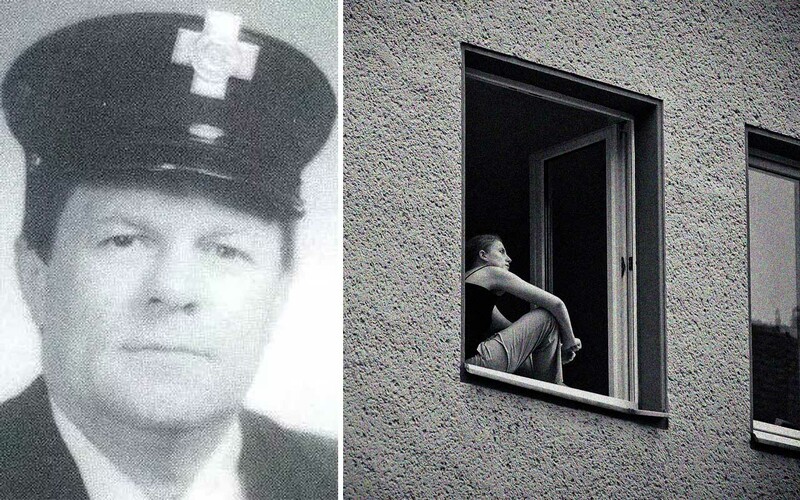 Bill Heenan – Caught an 8-year-old girl who jumped from the sixth story, using only one arm while climbing up a ladder. In January of 1996, Chicago firefighter Bill Heenan, 37, was one of the firefighters who responded to a fire at the 400 block of West 57th Place. By the time the firetruck arrived, the ten story apartment building was already engulfed in flames. The firefighters immediately rushed to put the fire out and Bill Heenan started to climb up the ladder, in order to help those who are stranded at the floors above. 2. 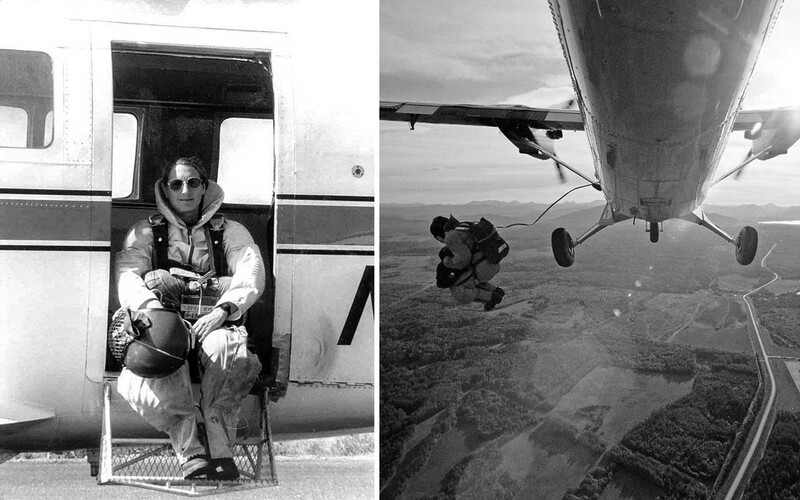 Deanne Shulman became the first female Smokejumper in 1981. To make it into the elite group of firefighters, Shulman was required to carry 115 lbs, over three and a half miles, in less than three and a half hours. Smokejumpers are elite units who are parachuted onto a remote location that firetrucks and other vehicles have trouble reaching. 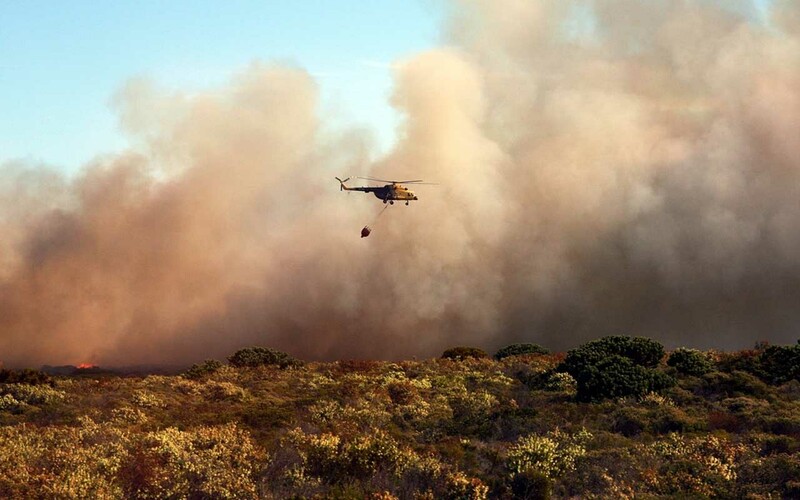 By parachuting in, self-sufficient firefighters could arrive fresh and ready for the strenuous work of fighting fires in rugged terrain. They are a national resource, that travel all over the country, including Alaska, to provide support on wild land fires in remote areas. Once a smokejumper lands, fire fighting tools, food and water are dropped by parachute near the fire. For the next 48 hours, they are completely dependent on themselves. Although the smokejumper program began in 1939, women weren’t a part of it. After passing rigorous fitness tests in 1979, Deanne Shulman, the 125-pounder, was rejected for not meeting height and weight minimums of 130 pounds and five-foot-five inches. Determined to be achieve her dreams, Shulman filed an Equal Employment Opportunity complaint and received another chance in 1981. In order to qualify the second time, she was required to carry 115 lbs over three-and-one-half miles cross-country in less than three-and-one-half hours. She also had to demonstrate the ability to detach her parachute and rappel to the ground after landing in a tree. 3. Anthony “Mike” Romano was only back on the job for a few weeks after suffering serious injuries, when he once again put his life on the line to save a fellow firefighter. Romano walked through a burning house to rescue a fellow firefighter who was injured. In 2007, Anthony “Mike” Romano, a Queens firefighter, was on duty when he suffered serious burns. 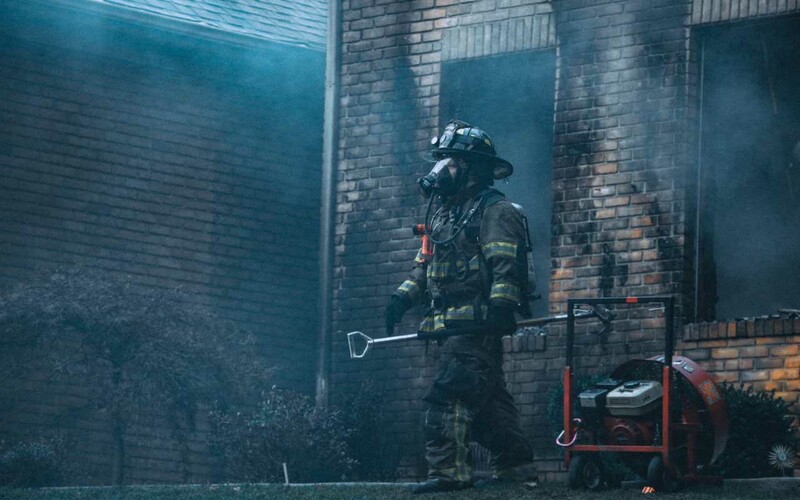 After being off duty for five months, the experienced firefighter returned to work. Only a few weeks later on February 26, 2008, he responded to a house fire. Although the fire didn’t seem like much at first, it was spreading fast within the home. Romano and his fellow firefighter entered the house to ensure that there were no occupants. While Romano cleared the basement, his fellow firefighter, who was on the second floor, was injured when the roof collapsed. 4. Jack Pritchard is the most decorated firefighter in FDNY history. He once rescued a child with developmental disabilities who was trapped on the third floor of a burning building. In 1998, he rescued a baby from a crib by picking up the entire crib and dragging it outside to his colleagues. Jack Pritchard is the most decorated firefighter in FDNY history and for a good reason. 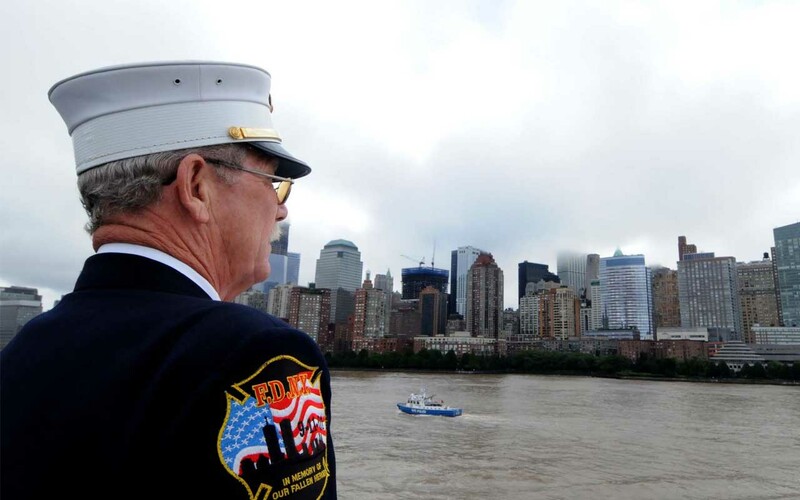 Since joining the force in 1970, there have been thousands of fires raging across New York City. However, they were all confronted by one man who was always there to ensure the safety of others. When he first joined the force in 1970 as a member of Squad 4, he was eager to prove himself, and it didn’t take long. Within weeks, he found himself at the fire of a three-story building with a mentally-challenged child trapped on the third floor. With no time to spare, Pritchard charged inside the building with no oxygen mask and found the child. However, they both were trapped inside by the raging fire. Left with no other option, he wrapped the child in his arms and jumped to the first floor, where his fellow firefighters sprayed them down with water. He suffered serious burns and was taken to the hospital. Even before his body could recover, Pritchard escaped the burn ward and started working again. A few years later, he found himself rescuing fellow firefighters who were trapped inside Waldbaum’s Supermarket in Brooklyn. 5. 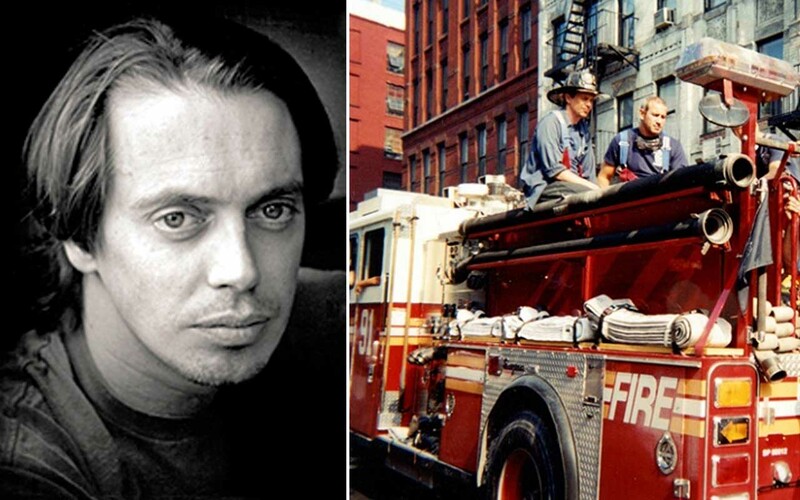 Steve Buscemi was an FDNY firefighter. On 9/11, the actor helped search for survivors as a New York firefighter. Steve Buscemi worked as a firefighter from 1980 to 1984, and returned to his department to help the week after the 9/11 attacks. The actor took the Civil Service exam in 1976 and joined the force, because his father believed in civil service. In an interview, he explained, “Whatever test came up when I turned 18, if it was the cops or the firefighters or sanitation, I was going to take that test as long as I was living under his roof”. He enjoyed being a firefighter but he kept receiving movie offers and didn’t want to miss out on becoming an actor. 6. Eddie Loder is considered the most decorated firefighter in Boston FD history. In 1987, he rappelled down an elevator shaft to save a maintenance worker trapped between the fifth and eighth floor. Then in 1990, he rescued a woman threatening to jump from the 6th floor of the Ritz Carlton. In the dark midnight hours of November 14, 1987, two lone repairmen were performing routine maintenance operations in a narrow, 20-by-20 utility shaft. As they were working the graveyard shift, in a cramped space, suspended nearly eight stories above the floor of the shaft, the motor burned out and the repair cart was stranded. The men hit the emergency switch and waited for help as they were hanging nearly 100 feet from the ground. Less than an hour later, a crowbar jammed between the doors of the access shaft a few stories above the repair techs’ heads and Eddie Loder emerged. He then rappelled down, clipped the men and managed to free the men through a space as small as a 0.6 meter (2 ft) square. In 1990, a woman was threatening to jump from the 6th floor of the Ritz Carlton when Loder used rappelling gear to swing out over the roof, out of sight of the distraught woman, and push her into the room towards safety. For his courageous actions, he was awarded the Roll Of Merit. 7. Peter Demontreux, a New York City firefighter, received the Medal of Valor for charging into a burning building and rescuing a trapped man. 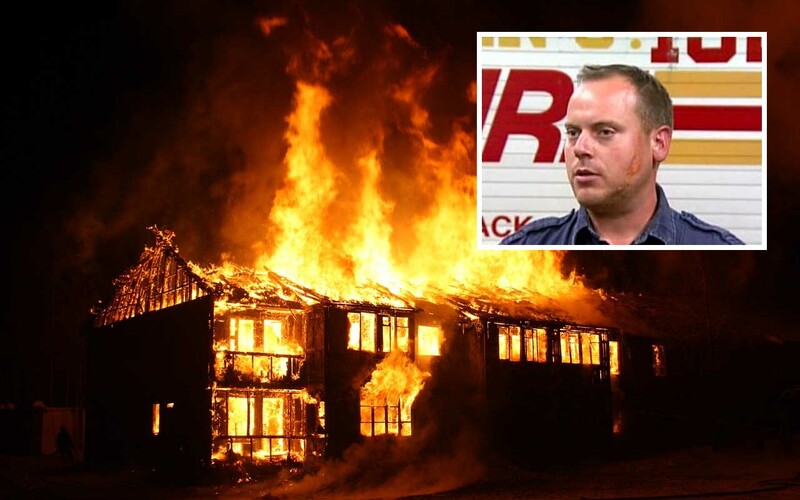 On August 30, 2010, Firefighter Peter Demontreux’s unit responded to a building fire, where they encountered heavy fire at the front door. The stairs to the upstairs was also blocked by the raging fire and a hoseline was to be put in place. However, Demontreux knew that the people trapped inside wouldn’t have enough time until the hoseline was ready. Demontreux climbed the ladder and found a man who informed him that his friend was trapped somewhere inside the building. After safely leading the man to the ladder, Demontreux charged inside the burning building and discovered the man trapped deep inside. 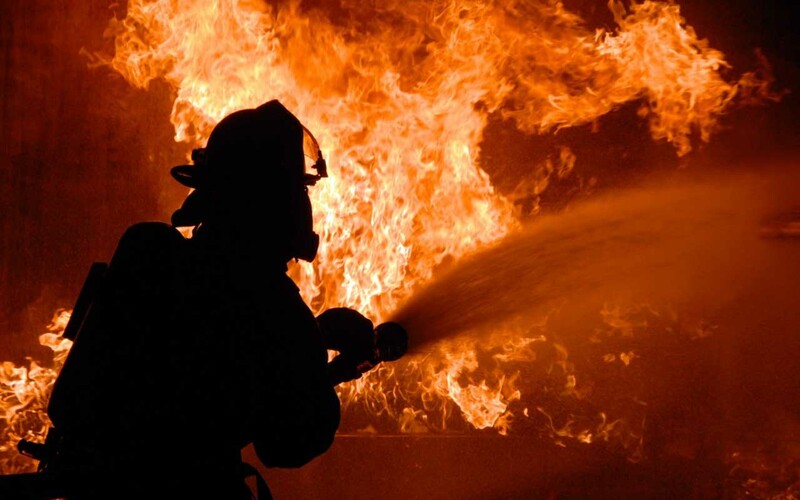 He then proceeded to guide the man, when the floor suddenly exploded into flames, setting both rescuer and victim ablaze. According to the on-scene Battalion Chief’s report, Firefighter Demontreux, now on fire, made the split second decision that he would not leave victim behind. 8. Jason Durbin, a firefighter-paramedic, was off duty when he rescued a woman from a fire, earning him the Carter Harrison Award in 2010. The Chicago firefighter/paramedic was working his second job for a private ambulance company, when he noticed smoke coming from a 29-story high-rise building. “I decided to check it out and as we pulled up, one of the windows blew,” he said. “I went into the building and people were already self-evacuating”. Durbin advised his partner to call 911 and left instructions in the lobby that no elevators were to be used. Despite having no safety equipment on hand, he started climbing the building. 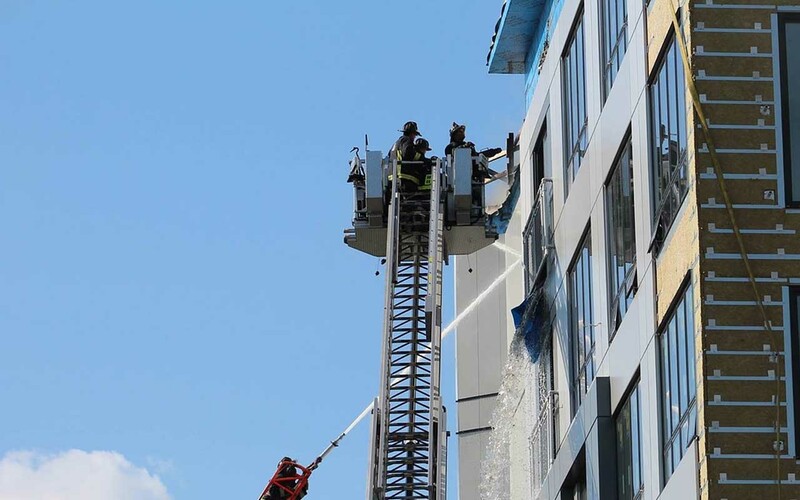 Upon reaching the 18th floor, he encountered a man and his son who informed him that the fire was in an apartment on the 28th floor and someone was trapped inside. With zero visibility, fire and smoke surrounding him, he had to feel his way around to find the right floor. Once he entered the 28th floor, he encountered the trapped woman. “I got her to gather her bearings and hold on and carried her down to the first floor,” he said. “I was so in the zone that it was just ‘Get her out of the building.’ You just get stuck in the moment”. 9. Gary Dahlen, a helicopter pilot, lead 12 firefighters to safety, when they were surrounded by intense wildfire with no path to escape. Gary Dahlen, a long-time helicopter pilot, had been fighting wildfires for years. His ultimate fear came to life on September 15, 2014, when he received a call at his firebase in California. Dahlen received coordinates to a fire that was spreading rapidly in Arizona and heading towards 12 firefighters. With only minutes to spare, Dahlen and other pilots set out in search of the crew. Luckily, Dahlen, flying a yellow Bell helicopter with a water bucket, was able to spot them. Dahlen saw that the crew had deployed their fire shields, which is a last-ditch effort for survival when firefighters are trapped inside flames. From above, Dahlen could see the out-of-control fire barreling towards them and he couldn’t just sit there and watch it consume them. Dahlen used his radio to contact the trapped crew and thankfully, they responded. He then hovered low enough to clear the smoke and create a path toward a nearby clearing. Dahlen believed that if the crew could make it to the open area, the fire might go past them. 10. David Blair, an Edgewater firefighter, saved another life while off duty by donating one of his kidneys to a stranger. The 41-year-old Edgewater firefighter was at home when he saw a social media post of a father, who was pleading for help. Garry Hughes was seeking help to the public to save his daughter’s life, who was in desperate need of a kidney transplant. Blair was emotional after reading the post and decided to help the father. He took a survey through the hospital’s organ transplant website and then a series of follow-up tests.